Saint Germain has been called the Wonderman of Europe, the Master Alchemist, the Avatar of Aquarius, and the God of Love to the Earth. In this seminal work, Saint Germain on Advanced Alchemy, he comes to initiate you into the deeper mysteries of divine truth. This book is for those who would know the eternal flame of love and master the science of inner being to bring about a world of freedom, enlightenment, peace, and prosperity. Alchemy is the ancient science of spirit through which inner transformation takes place, the lead of our lower nature is transmuted into the gold of our true, divine Selfhood. In this inspired work, Saint Germain releases new formulas for our lives today that assist us in raising our consciousness and accelerating enlightened love through what he calls heartstreaming. Help spread the word about Saint Germain on Advanced Alchemy. How? Write a review on amazon.com. Share your own personal testimony. Explain how important and life-changing this book has been to you. The more reviews, the more the book will be noticed and purchased. You are not required to purchase the book from Amazon to write your review. 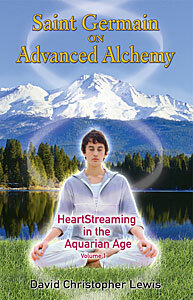 Go to the Saint Germain on Advanced Alchemy page in Amazon. Scroll half-way down the page to find the “Customer Reviews” section. So simple and quick! A few sentences will suffice. —Thank you!